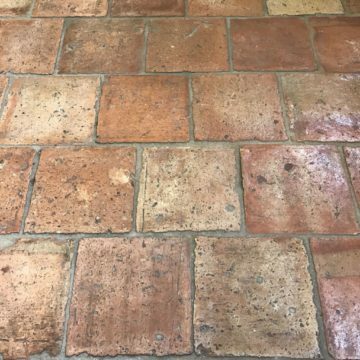 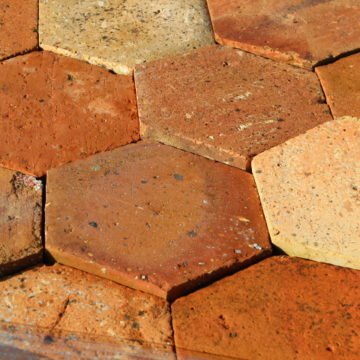 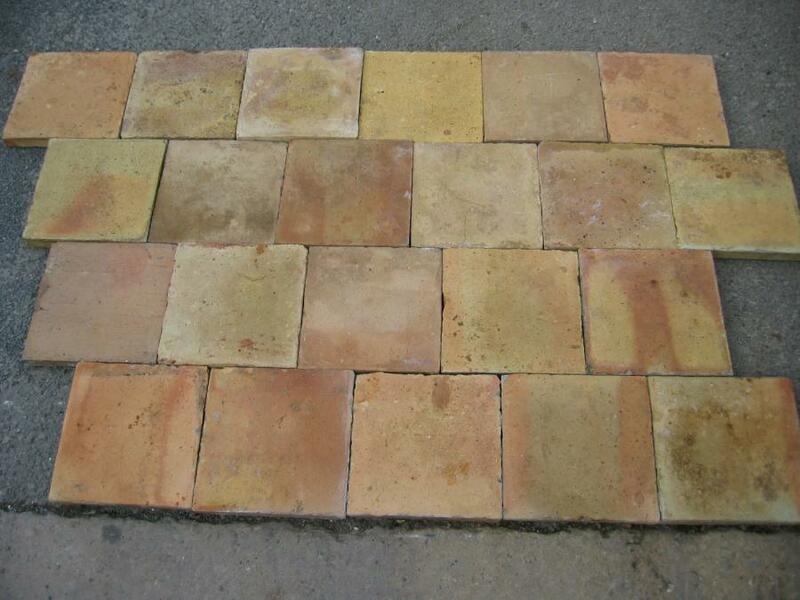 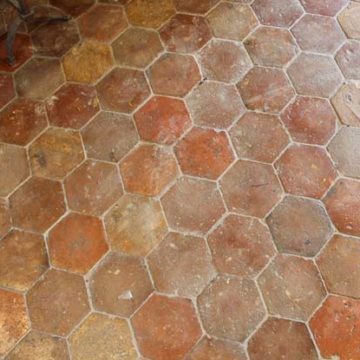 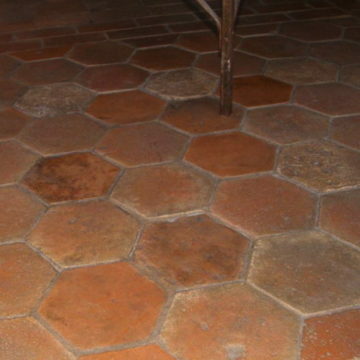 Antique light tone terra cotta tiles : Antique French terra cotta in Antique Blanc Rose colour, reclaimed and in stock at BCA Antique Materials. 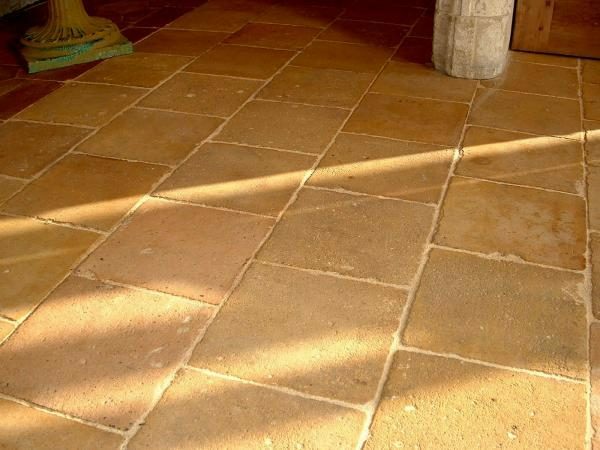 Colour blend is in light beige-salmon-yellow (“blanc-rose”), they are washed and sorted in BCA Antique Material’s own workshops at L’Hôtellerie-de-Flée in the Maine & loire département of France, so are ready to lay. 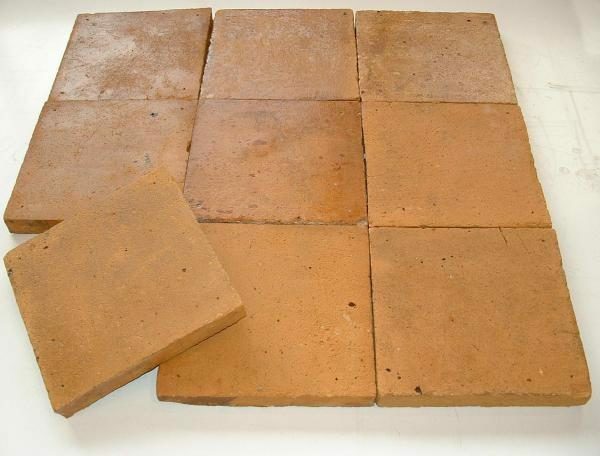 Format is approx 21 x 21cm (8.3 x 8.3 inches), but stocks vary so consult us with your surface area requirements and we’ll indicate the size available in the quantity you require. 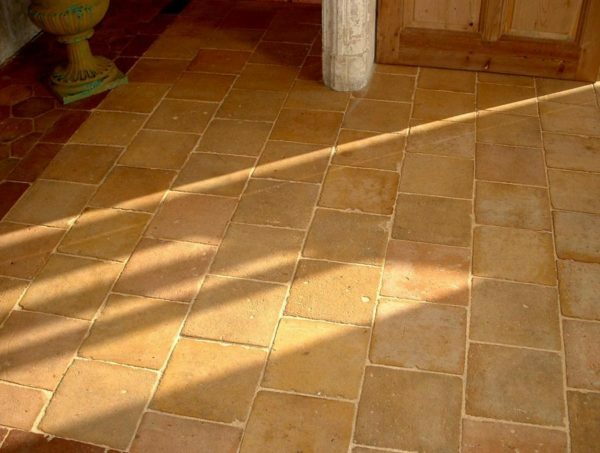 Thickness is variable as they are authentique antique hand-made tiles, not factory produced. However assume 2 to 3cm (+/- 1 inch) in thickness.